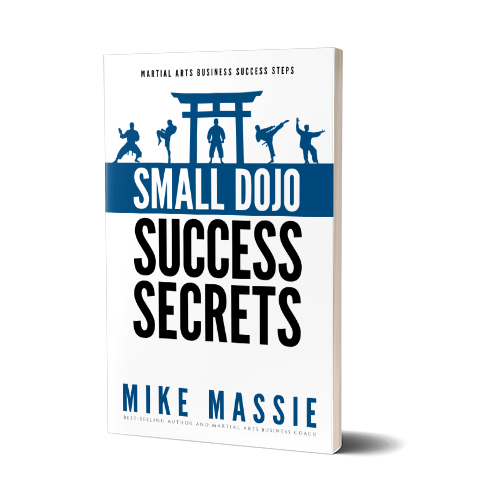 For many years I have been a staunch advocate of transparency and honesty among martial arts pros, especially regarding martial art school business practices. My reasoning for this is simple. For one, it’s simply the decent thing to do. Second, I believe it’s the best way to do business. However, I continue to hear stories of martial arts school owners who are financially successful but ethically bankrupt. And, to be quite honest, it irks me to no end that these individuals are collectively giving the martial arts industry a black eye. Even more disturbing to me is that we are doing absolutely nothing as an industry of martial arts professionals to correct it. Should a well-known or successful martial artist claim credentials that they did not earn, I can guarantee that there will be more people outing them than president Obama plays rounds of golf. But, should a well-known and financially successful martial artist teach and promote business practices that fall into a grey area ethically, I can assure you that the merit of said business practices will largely be measured by the results, and not by any ethical standard. And sadly, many struggling martial art school owners are taken in by promises of financial success, blindly copying business practices that would put an old-school grifter to shame. I blame this on the fact that we, as an industry, tend to place too much emphasis on numbers and not enough on the people we serve. And in the end, not only are we hurting our clients, we’re also hurting the reputation of our industry. Here’s a real life example that illustrates the end result of adopting borderline unethical martial arts business practices in your school. The other day, I was having a discussion with another local business owner. It was our first meeting, so we were getting to know each other by exchanging the usual pleasantries. When the conversation turned to what I did for a living I explained that I am a martial arts instructor, and also a business and marketing coach to other martial arts school owners. And that’s when the conversation took a turn that I honestly wish it didn’t have to take. “Oh, what style do you teach?” she asked. “Tae kwon do, kickboxing, and reality-based self-defense,” I replied. “Was it XYZ tae kwon do?” At this point I think I may have visibly winced. “Yes.” And she paused. “But we haven’t been there in years. We loved it, and we absolutely loved the instructor, but we’ll never go back.” I merely nodded as if to prod her on, and she continued to explain to me that her husband had broken his hand doing a board break, she had injured her back and was medically unable to continue, and her kids grew bored with the training. Now, granted, her kids being bored with classes was no reason to break the contract (although I’d also say it points to a failure on the part of the instructor). However, it seems to me that both she and her husband had medically valid reasons to be unable to continue classes, which is an ethical issue unto itself. But the real issue here is that no one explained the terms of their contract to them when they enrolled. And, while this might have made the enrollment process go more smoothly for the school, it certainly smacks of dishonest and misleading conduct on their part as well. She liked the school. Her family adored the instructor. But she stated to me adamantly that she would never go back. “I know I could go back at any time, but uh-uh. No way.” And all because she felt she had been deceived during the enrollment process. Are Your Business Practices Giving The Industry A Black Eye? This is far from the only conversation I’ve had with former martial arts students who were soured on returning to training after being exposed to deceptive martial arts business practices. And, it really irritates me when I have these conversations with people, knowing that someone else’s actions reflect poorly on our entire industry (and you and I by association). Look, the terms of your contract and your school policies are your business. I use contracts, and as I explained to the business owner I mentioned above, I believe contractual billing agreements are a necessity for stabilizing your cash flow in a martial arts school. However, I also expressed that someone should have explained the terms of the agreement with her before she signed. She agreed, but indicated that she hadn’t thought it an issue at the time. Why? Because the instructor had gained her trust. Let me tell you something, folks – trust is a fragile thing. It is often difficult to gain, especially with the typically skeptical and jaded customer we often encounter these days. And, it’s not something you should take lightly once you earn it. Granted, you’re always going to have 1-2% of your clientele that you are never going to be able to satisfy. These are the types of people who leave crazy, rambling, negative reviews online, and there’s really nothing you can do about it. But, we’re talking about someone who otherwise claimed to have had a pleasant experience with this school and instructor. How many other people do you think she shared that story with? I’d bet dozens. She’s an influential and respected local business owner, so her opinion has weight in her circle of influence. The damage to this school’s reputation, based on the negative experiences of one single client, are in my estimation immeasurable. What does it mean to be a martial arts pro? For starters, it should mean that we actually live up to all that lip service we give about the character values and ethics we teach in our classes. 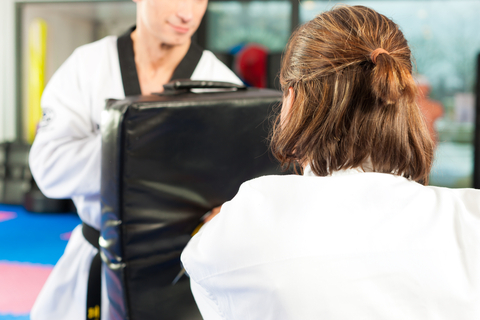 Yet, it remains an ongoing issue in our industry that there really are no standards of ethical conduct for professional martial arts instructors. Based on my own observations over the last three decades I’ve been involved with the martial arts, I believe we have been incredibly lax in our industry with self-policing unethical business practices. And this is something that I think needs to change. No, we don’t need some sort of government regulation or peer review committee (because what the government touches, it destroys). However, what we do need is a lot more self-policing on what we do in our own schools, starting with evaluating business practices by a standard that is based on more than just bottom line results. Remember, just because someone is financially successful, it doesn’t necessarily mean that they are morally virtuous. On the flip side of that statement, I will also say that just because someone is wealthy, it doesn’t necessarily mean that they aren’t morally virtuous. Financial success is a poor indication of moral virtue. That’s why we need to first question the morality of new martial arts business practices, before we implement them in our schools. The bottom line is that your responsibility as a martial arts pro is to be an ambassador of our industry and to always act in your students’ best interests. So, when you travel to martial arts business seminars and conventions, and when you are exposed to new martial arts business ideas, concepts, and strategies, I urge you to maintain a critical attitude toward any business practices that don’t first have the best interests of the customer in mind. Being a martial arts pro should mean more than just having a financially successful and profitable studio. It should also mean that we are ambassadors for our industry. And, we should strive to leave every one of our clients and customers with a more favorable impression of our industry, one that will last long after they have left our schools.